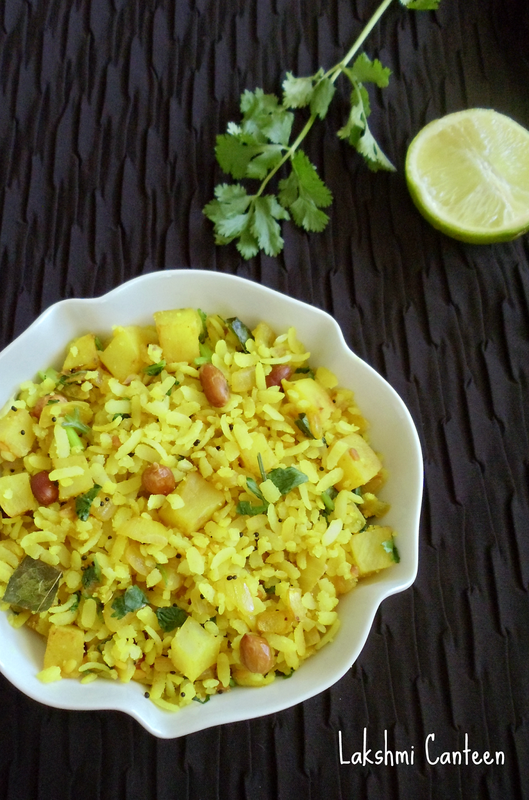 Batata Phovu (Or Aloo Poha) is a simple South Indian breakfast made using beaten rice. It is a very common breakfast in the state of Maharashtra. My mother makes this dish all the time (without the potatoes though). 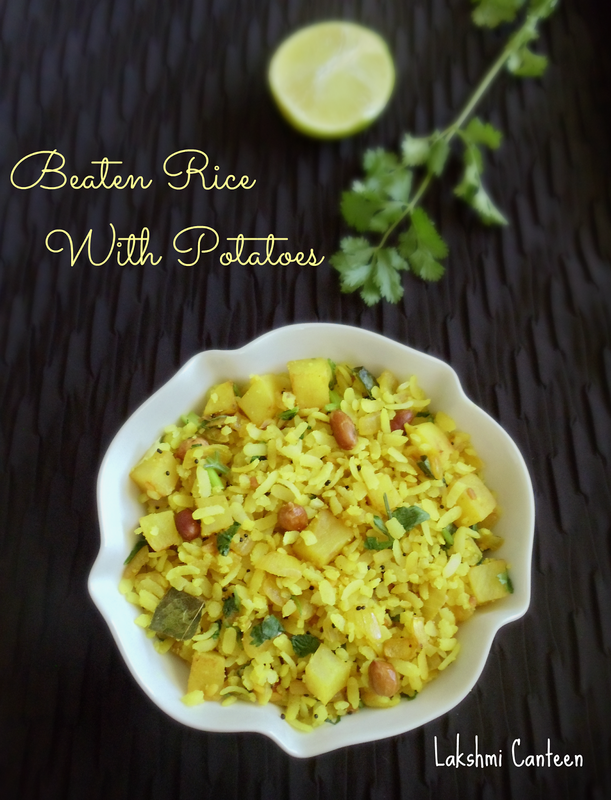 I was introduced to this method (pairing of potatoes with beaten rice) from a good friend who grew up in Pune. My husband loves potatoes and enjoys this dish a lot. Hence I pack this for his lunch box once in a while. 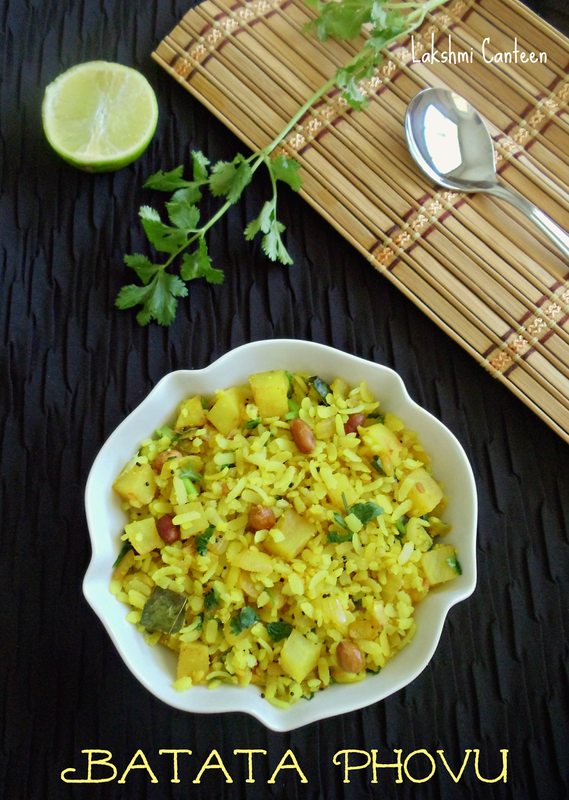 Do try making this simple yet tasty breakfast! 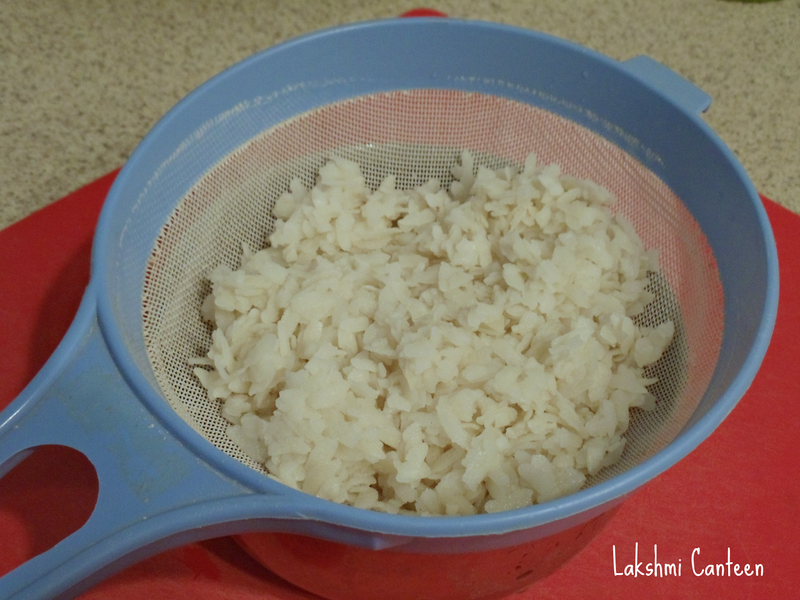 Soak the beaten rice in water for 1-2 minutes. Then strain the water completely. Now sprinkle little salt on it and let it stand in the strainer until the seasoning is done. 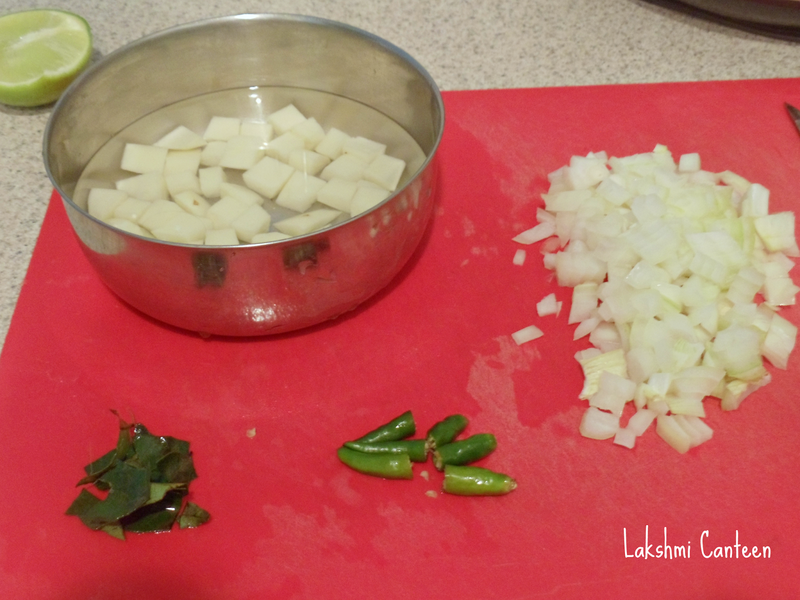 Chop the onions, potato, green chilli and cilantro. Now heat oil in a pan. Once hot, add mustard seeds. 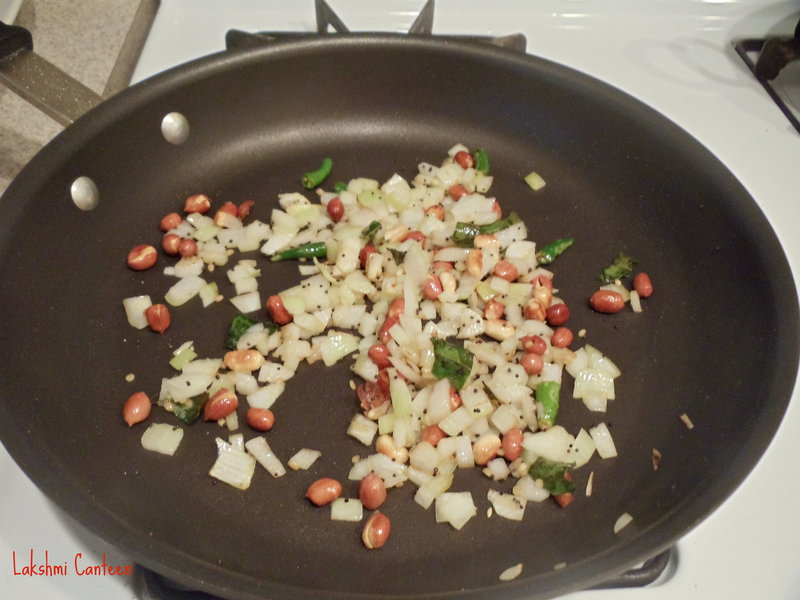 After it pops, add peanuts and fry it until it turns slight brown. Then add urad dal, chopped green chilli, curry leaves. 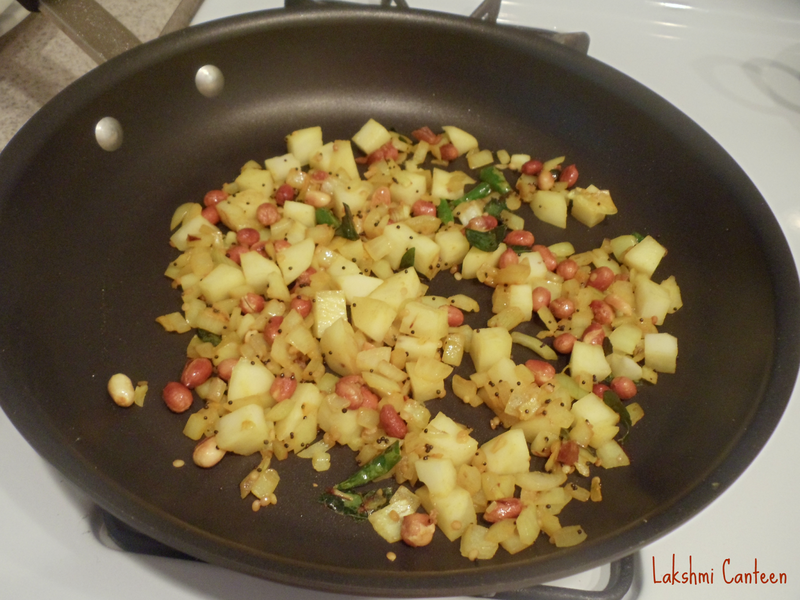 Fry for few seconds and add chopped onion and salt. Fry for a minute. Then add turmeric powder and cubed potato. Mix well. Lower the heat and close the pan with a lid. Cook it until the potato is cooked (yet firm). You can sprinkle very little water to help cook the potato. 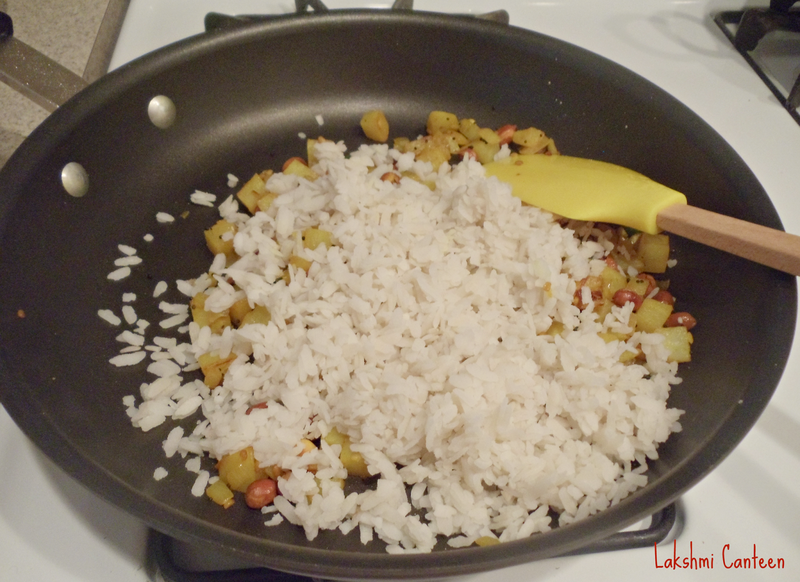 Once the potato looks cooked, add in the beaten rice. Mix it gently. Then add chopped cilantro. 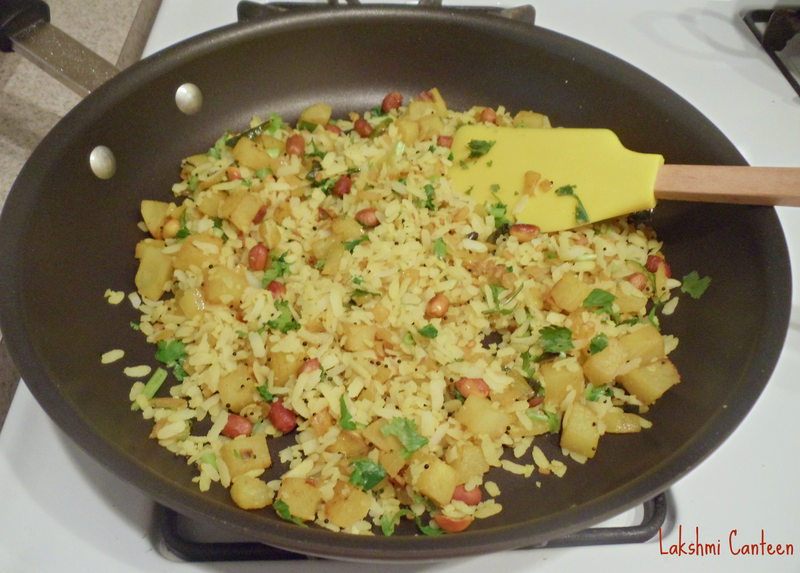 Once the beaten rice is heated through, turn off the heat and add the lime juice. Give a final mix. Serve it hot. Above measurement serves one.